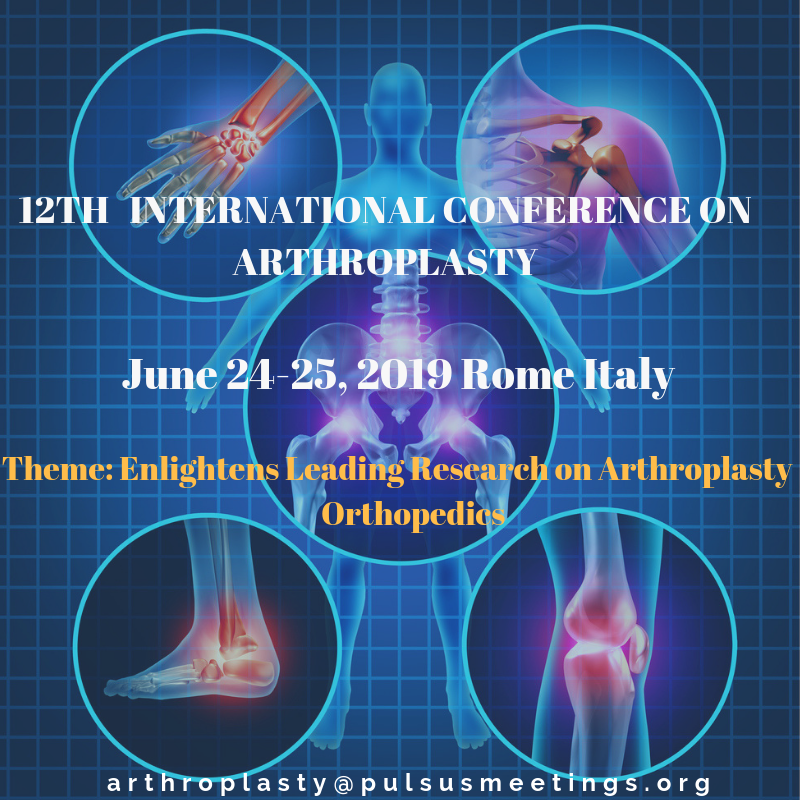 On behalf of Pulsus, Arthroplasty 2019 welcomes all the eminent researchers and scholars around the globe to be the member of “12th International Conference on Arthroplasty” scheduled on June 24-25, 2019 at Rome, Italy. The Objective of the Conference is to reach the Advancement in the Field of Arthroplasty by the global gathering and meeting of peoples from various diversities to share the knowledge by paper presentations, poster presentation and by the delivery of speech & lectures or as a Delegate in the research forum. Arthroplasty 2019 is eagerly waiting in addressing all the participants, scholars, researchers and industrial expects to make the gathering more successful.